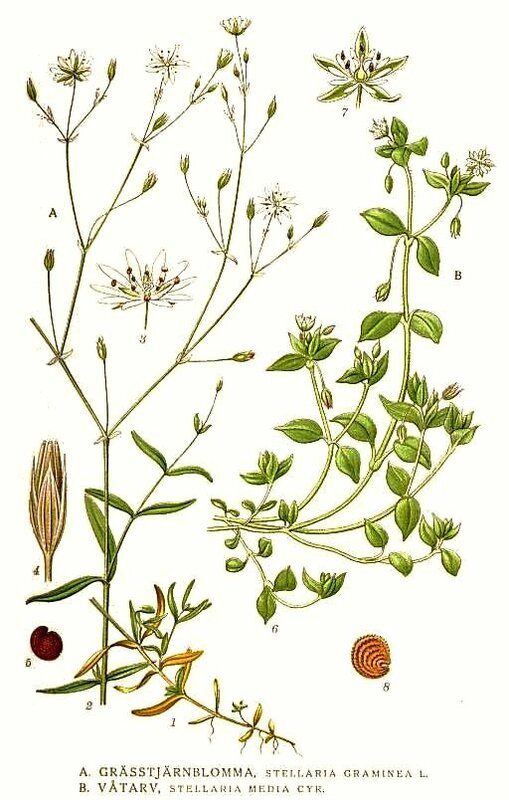 Foliage: Can be distinguised from other Stellaria by the fine hairs on only one side of the stem; other Stellaria are covered on the entire stem. 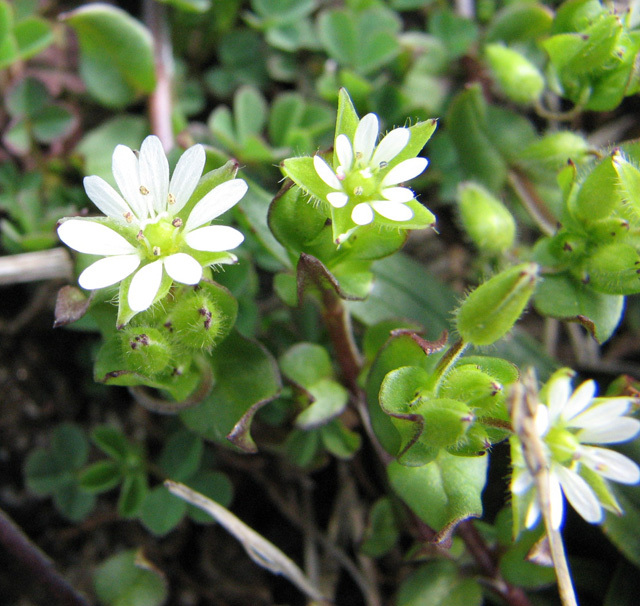 Opposite leaves, rather egg shapedforming large mats, with trailing, weak stems. Misc. : Edible as a salad green. Often prolific and control is problematic.